Hail to the Chief—and his teeth! You may remember their smiles and expressions from portraits and photographs, but do you know the stories behind them? Read on for some fascinating facts about our commanders in chief. 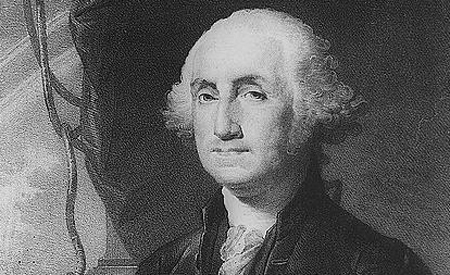 Tooth decay and tooth loss plagued George Washington throughout his adult life. The Journal of the American Revolution states the father of our country had his first tooth pulled at 24 and had only one left at inauguration. Mount Vernon, Washington’s estate, says his troublesome teeth made the president self-conscious and reluctant to speak in public. While it’s true Washington wore dentures, they were never wooden. He had many pairs made with many different materials, including: hippopotamus ivory, bone, gold wire, copper screws, lead and even human teeth. His wife, Martha, also had a partial denture. “Well aware of her husband’s travails, Martha regularly urged her children and grandchildren to tend to the care of their teeth,” Mount Vernon states. 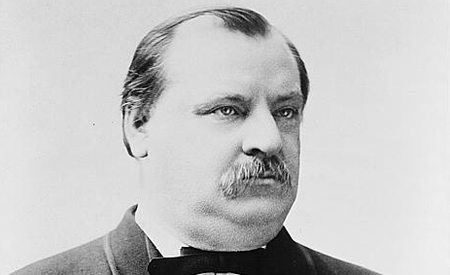 Near the beginning of his second term in 1893, Grover Cleveland faced two major issues. Nationally, the country was entering a depression. Personally, a bump in his mouth had formed, grown and was diagnosed as cancer. To prevent nationwide panic, a clandestine plan was hatched. On June 30, Cleveland boarded a yacht in New York Harbor with six doctors. In a 90-minute surgery the next day, surgeons removed the cancerous tumor, five teeth and part of his upper left jaw. Cleveland sat in a chair attached to the mast of the ship. His only anesthesia was laughing gas and ether. Four days later, Cleveland got off the yacht in Cape Cod and finished recovering at his summer home. He was later fitted with a rubber prosthesis that helped him speak normally again. 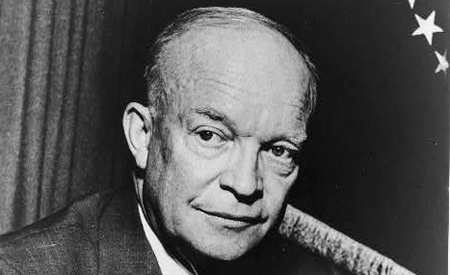 Dwight D. Eisenhower: Dental Emergency or UFO Coverup? On February 20, 1954, Dwight D. Eisenhower was eating a chicken wing in Palm Springs, California, when the cap on one of his front teeth popped off. 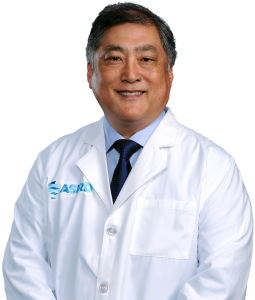 He spent his Saturday night at an emergency dental appointment, and the unexpected trip caused led to many false reports (including an Associated Press report that he had died of a heart attack). It also birthed a UFO conspiracy theory. Some believe the dental visit was a cover up for a secret meeting with aliens at Edwards Air Force Base. “In the most recent version of this story, alleged in several books dating back to the late 1980s, two aliens offered to share their knowledge with earthlings if Ike would eliminate America’s nuclear weapons,” according to the Bulletin of Dental Education (July 2004). 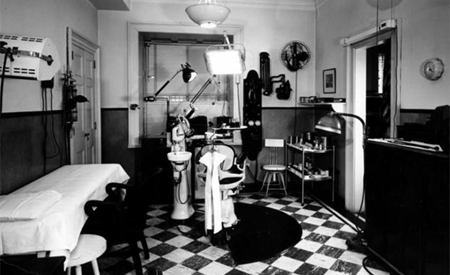 Thanks to Eisenhower’s long military service and time as president, his dental records are thorough and document many troubles with that particular crown. Still, the theory lives on with believers because the dentist who treated Eisenhower passed away without leaving record of the visit.